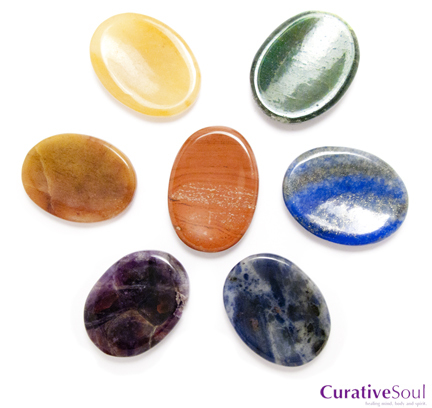 Often called "fidget", "worry", and "pocket" stones, this Set of 7 Chakra Healing Stones are great stones to carry with you or keep in your pocket. Oval-shaped stones with smooth, concave back are perfectly shaped for holding and pressing with your thumbs for a powerful stress and tension reliever. Approximately 1.5" long x 1" wide.